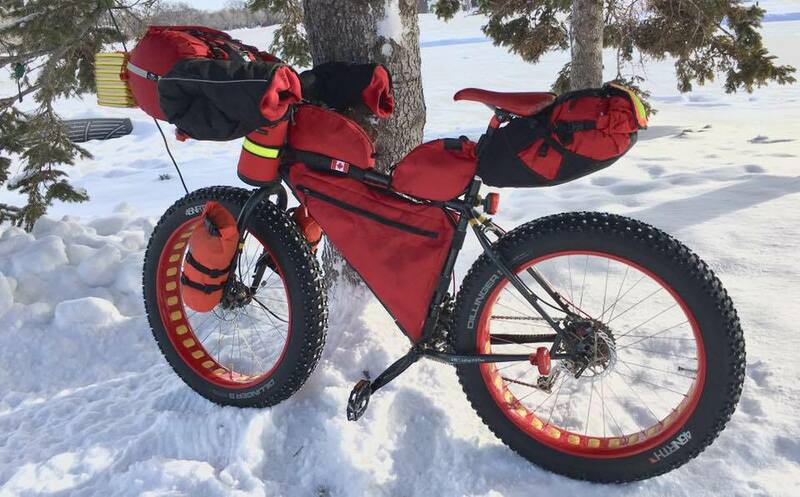 So with all my planning and preparations for upcoming fatbike adventures on Lake Winnipeg, I decided to not race Actif Epica this year and return to my Roving Responder role again. Lucky for me Steven Sloat (former AE fatbike racer) decided to come out from West Man to also support AE; so he stayed over at my place and we teamed up. There’s Gregory ‘G-Mac’ McNeill (fellow MB fatbiker & photographer extraordinaire, who decided to race on foot this year – 162 Kms!) and Steven Sloat (fellow Roving Responder). Start of the 200 Km (new option for 2018) for the cyclists. The real ‘Safety Team’ Roving Responders was the Xtreme Sports Medics headed by Robert Paige (XSM President) and medics Kas & Natasha (who are also going to be out on Lake Winnipeg on 2-4 March for our “2018 ‘Alfred Barr’ Lake Winnipeg Crossing & Campover”. Here’s Robert Paige in action at one of AE’s Check Points (making sure all racers are doing well enough to continue safely)! This when the roving responders and safety team are at their most important! Here’s MB Fatbikers Dan Lockery & David Ristau (Finished 1st & 2nd the 200 Km Race!) riding off the Floodway to be met by Steven & me. Dan & David seemed very happy to see us after the long, completely dark and exposed section along Schapansky Road and the Floodway! Here’s Ryan Haug (3rd 200 Km) stopping in for some Floodway hospitality. Here’s Mb Fatbiker KC Turczak, who finished tied for 5th (200 Km) with fellow MB Fatbiker Pete McAdams (oops – no flash – no picture). 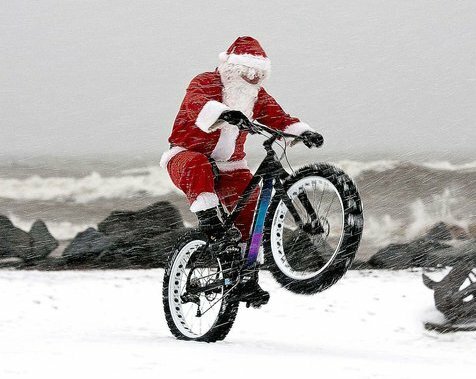 Think yer winter rugged tough? Check out Gregory ‘G-Mac’ McNeill finishing AE 162 Kms (yup, 100 miles!) on FOOT after pressing on for 34 Hrs & 51 Minutes!!! Btw, that’s Roving Medic Robert Paige giving G-Mac congrats after keeping on eye on him for many hours! 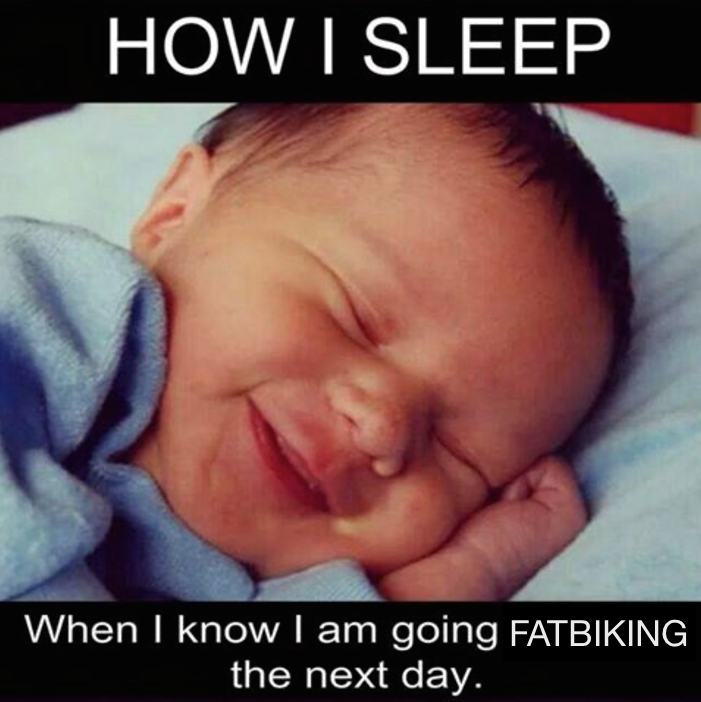 Some of local fatbikers and previous AE racers will be active today and into the night as Roving Responders (I’m partnering with fellow Westman Fatbiker and AE Finisher Steven Sloat who’s coming out all the way from Shilo!). Plus Robert Paige and his Xtreme Sport Medics Team will be there to ensure that everyone is safe! 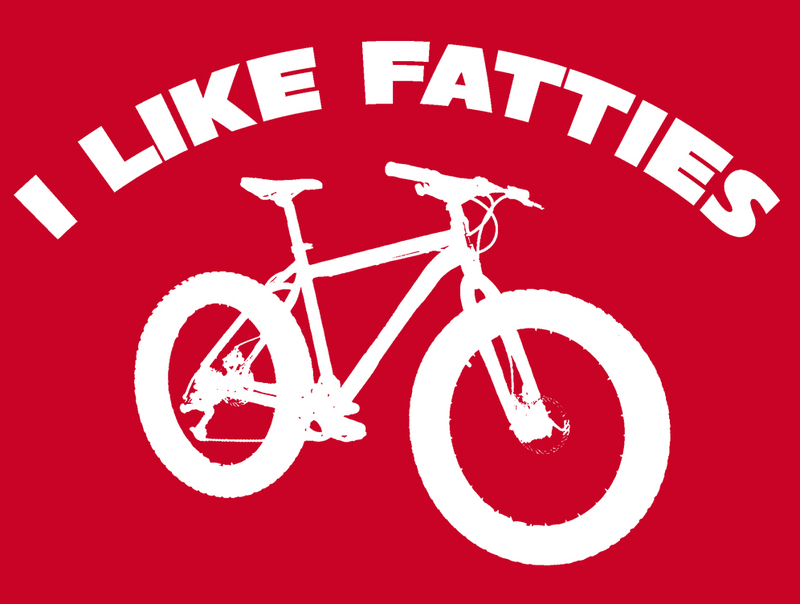 Come and hang out with a lot of awesome people as we kick off the Actif Epica with our Fat bike friends at the Forks . We have a Strava challenge for you, 850 M starting under the walking bridge. Come celebrate the efforts of these amazing endurance athletes and the pilot grooming project put in motion By the legendary Alex Man. 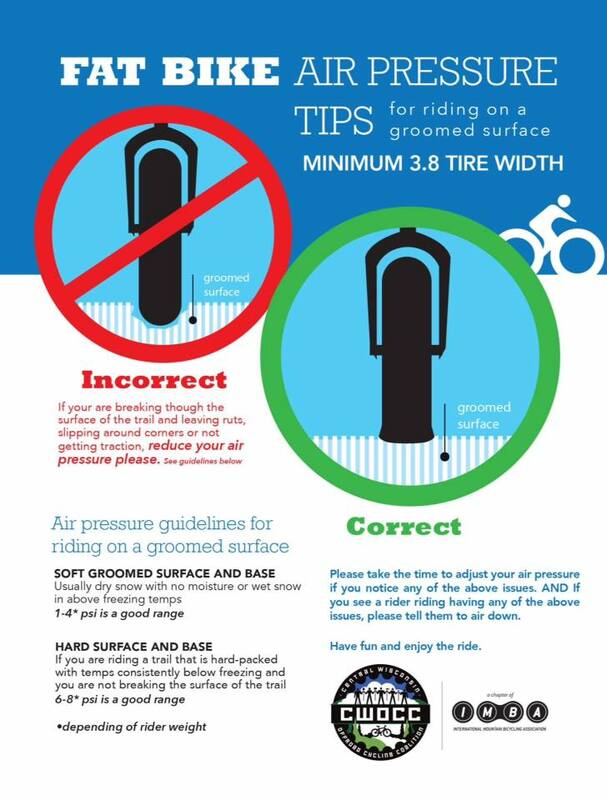 Come have a rip and show your support of fat bike if at the Forks . 6:30-8:30pm Friday and Saturday Night 16/17 Feb 2018! You can even buy someone a beer at the Common! Six of us convened in St. Malo and were met with moderate winds (20km/h from the NW) and a reasonable starting temperature of about -15C (5F) at the start. The forecast was calling for the winds to pick up from the North West later in the day and cool off. Gravel road conditions have changed somewhat since our last visit to this section of the route. The surface still has ice on it but some of the snow that has fallen since has collected, providing a bit more traction. The trail sections have blown in and not seen any traffic, so we walked the majority of those. Closer to the Senkiw bridge, the field still has some strong ice-crusted surfaces where riding was possible but nearer the trail that leads to the suspension bridge was soft and deep, similar to last year. We went as far as the suspension bridge and marked the route on our way back with pink flagging tape. Upon leaving the protection of the treed areas the wind had indeed picked up and was somewhere between 40-50km/h sustained and gusting. Gearing up for the return trip we took a slight detour to avoid more walking and made it back to the vehicles after about 3.5 hours of riding time. Thanks again to those that came out and joined us for a bit of excitement this past Sunday! 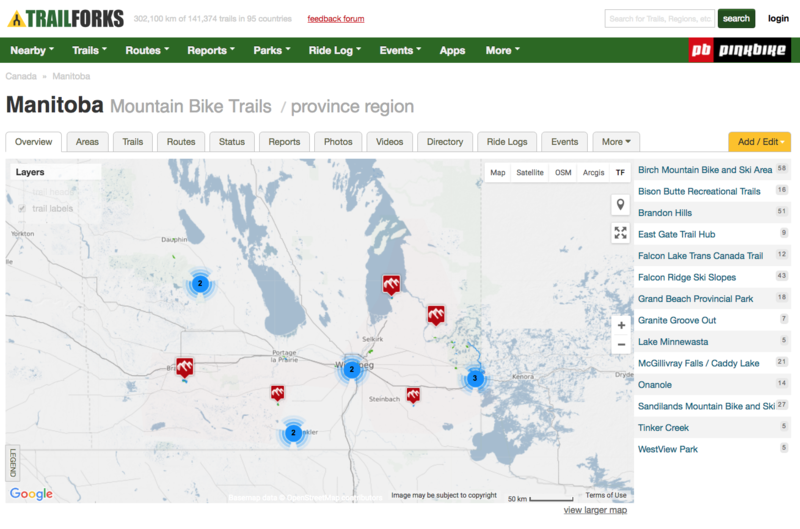 Trail conditions are shaping up nicely with more snow in the southern sections and closer to Winnipeg having a bit less. There are minimal flurries in the forecast between now and next weekend so we don’t anticipate much change before race day. We look forward to seeing you all next weekend! Purpose: To scout the trail conditions and put up some course marking from St. Malo to the Senkiw suspension bridge along the Crow Wing Trail (note: this is part of the longer courses, 162km and 200km). 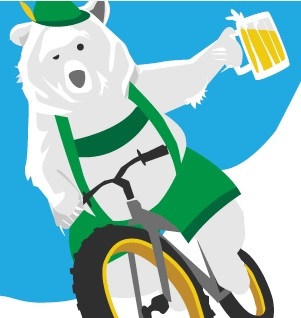 Who: The trail crew will be (mostly) riding at a slow rolling pace (on fat bikes) and would love it if you brought ANY type of bike and joined them (bring friends on bikes too!). 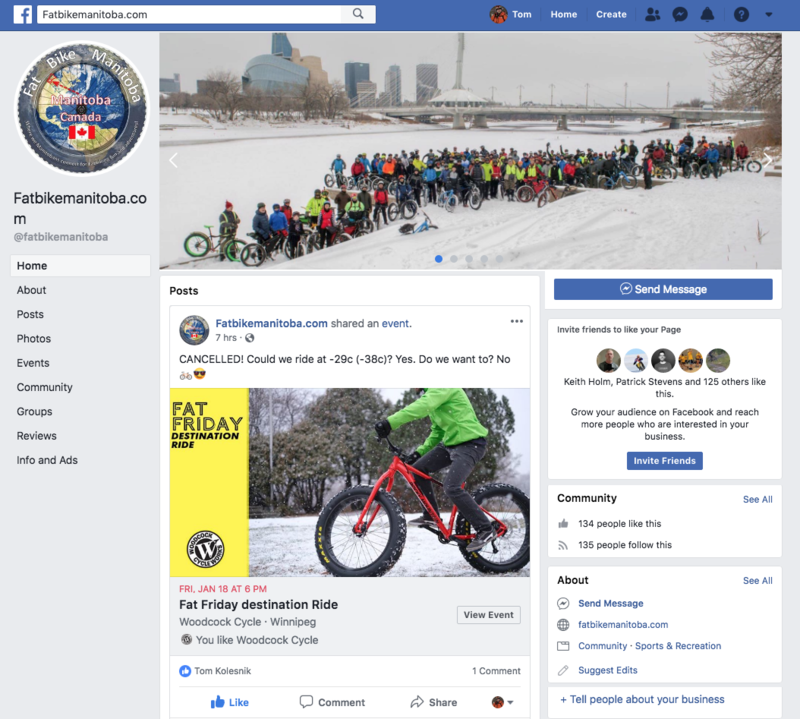 The Plan: To put up course marking materials, take a few pictures of trail conditions and enjoy a fun, sociable ride from St. Malo to the suspension bridge (and just beyond). We will return along the same route and the distance estimate is about 37km to the bridge and back, adding in a short bit of planned extra south of the bridge might push that up to 40km round-trip at most. We will roll out at 9am from St. Malo and as always, if you happen to be late, you can follow our tracks and the Crow Wing Trail signs (white arrow on blue background) to catch up with us as we will be stopping periodically to take pictures and put up course marking. We estimate the total riding time to be approximately 3-4h. Also, there will likely be a post ride discussion over coffee/food at a local establishment should you feel so inclined and have the time to join us. In addition, if you would like to come out but have a shorter time budget to spare, with the out-and-back route planned, you can join us for however much time you can spare and then double back the same way. Meeting in St. Pierre-Jolys this morning, six of us set off to scout a bit of new trail for this year, along with some favourite stretches that we don’t get to see often enough. Temperatures were mild again at -7C (20F), with a light wind from the North East. The recent warm weather with temps above freezing and the previous extreme wind conditions left the fields and roads scoured with minimal snow/ice cover except for spots with shelter where drifts tended to accumulate. 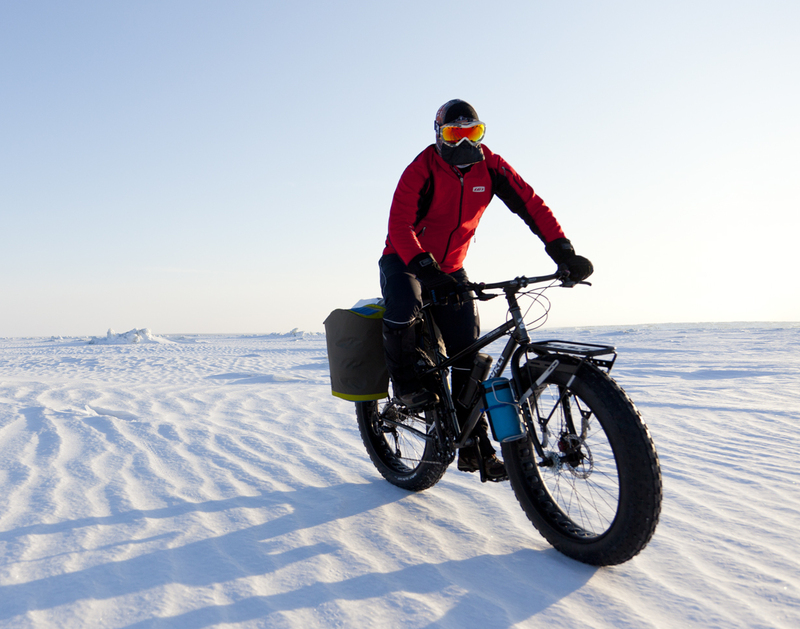 That made for a mix of mostly ride-able surfaces for wider tires and the odd stretch where the crusts were thin, finding us punching through and walking for a bit to break up the ride. One of the usual roads near St. Malo (Goulet Rd) that has been un-plowed in years past appears to now be included in regular clearing. This happened last year as well and racers might find this to their liking as it certainly sped up travel from St. Pierre to St. Malo and back for us today. On our return trip we opted for a slightly shorter route to be respectful of everyone’s time. That left us a chance to revisit the short section of new trail that is being used this year on the dike around St. Pierre-Jolys. The approach to the dike is off Parenteau St. In St. Pierre and it wraps around town, crossing highway 59 and Provincial Rd 205, before turning in toward the checkpoint location at the Museum (Cabane a Sucre). Thanks to those that came out and joined us! Not to worry if you were unable to make it out, we have plans for a couple more scouting trips yet. That being said, next week we are taking a break again as another of the triple crown events is happening (the Arrowhead 135). Good luck to all taking part! Location: Meet at St. Pierre-Jolys (in the parking lot of Le Routier restaurant). Purpose: To scout the Actif Epica course heading South from St. Pierre-Jolys to St. Malo along the Crow Wing Trail. The Plan: To go have a look at this section of the route (which includes an update for this year), take a few pictures and enjoy a fun, sociable ride-out from St. Pierre-Jolys to St. Malo along the Crow Wing Trail and then time permitting, either return the same way or take a shorter route back. The total distance will be approximately 40-50km. 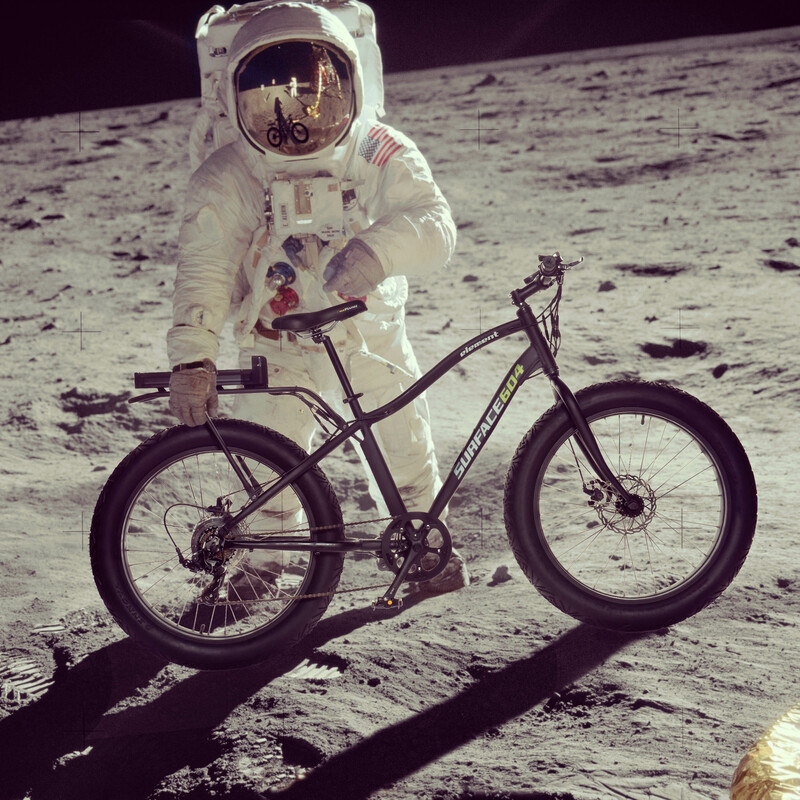 We will roll out at 9am and estimate the total ride time to be somewhere between 3-4 hours. In case you are late setting off, you can follow along with the blue-and-white-arrow, Crow Wing Trail markers (and look for our tire tracks!) to catch up with us along the route as we will be moving at a comfortable pace and stopping to take pictures now and then. Also, there will likely be a post ride discussion over coffee/food at a local establishment should you feel so inclined. 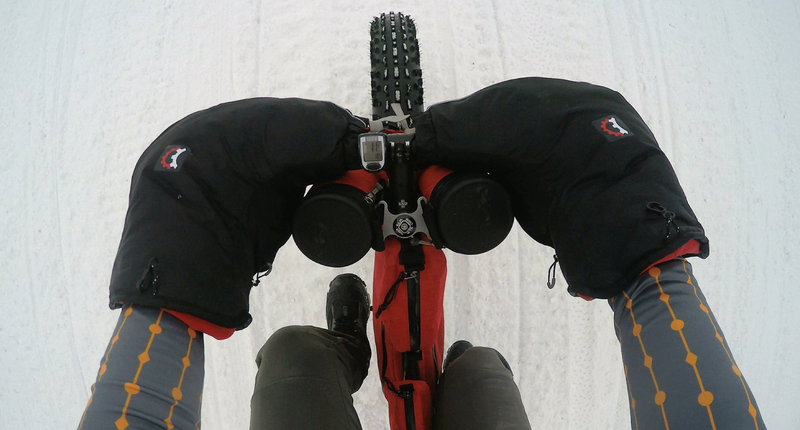 Compared to the recent cold spell, riding this past Sunday was far more comfortable and forgiving. When we arrived at the South side of the Senkiw Bridge the temperature was reported as -7C (20F). There was a light wind from the North West but once we found tree cover it was hardly noticed. Setting off from our meeting point we took our bikes for a walk. The snow was soft and sugary due to minimal or no traffic and recent high winds that brought whatever little snow there was to collect in the sheltered areas. Conditions were warm with cloud cover and flat lighting so it was a pleasant day to wander through the trails along the banks of the Roseau River. We walked all the way along the trail as far as the road entrance and met up with two more of our group (bringing us up to 8 riders) and then proceeded to head South toward Ridgeville. The day before had seen wind speeds gusting up to around 70km/h (~40mph) which scrubbed most of the fields/roads clean leaving minimal snow in the open areas. Due to walking and the corresponding slow progress, when we reached the turn toward the final mile for Ridgeville we opted instead to make a more direct return trip back to be respectful of people’s time on such a beautiful Sunday afternoon. Thanks to those that joined us for this one! Not to worry if you were unable to make it, there will be a few more yet to come. 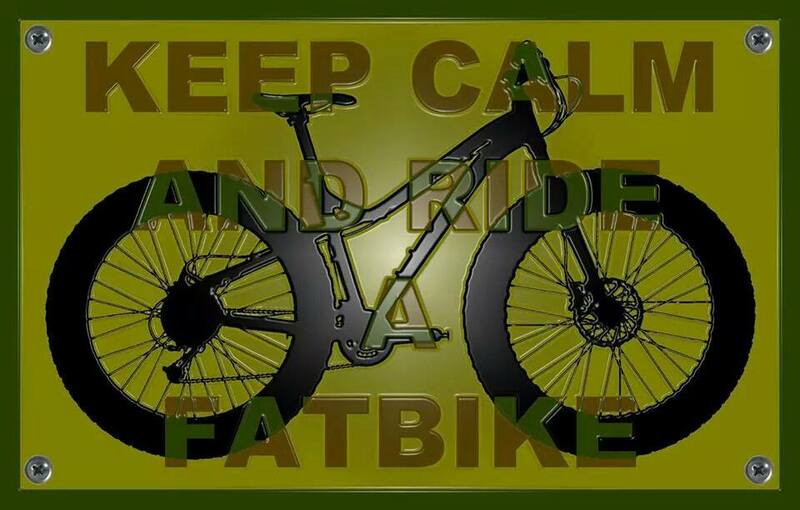 That being said, next week we are taking a break as Sunday is the first in the 2WR Manitoba Fatbike Series events at Falcon Lake. Good luck to all taking part! I will be out active as a Roving Responder and posting to AE Twitter and the Live Blog. For the final recon ride we chose a section of trail that would represent some of the varied trail conditions that participants may encounter on event day. That meant a trip back to St. Malo and we headed South along the route to the Senkiw Suspension Bridge. The temperature was warm to start, around -8C (~18F) with a steady wind from the West. The forecast high was calling for above freezing later in the day. We met up in St. Malo at the checkpoint (and starting location for the classic route), with four riders and one course marking official (thanks Dallas!). Road conditions leading into/out of St. Malo were wet, but much less icy than our previous warm weather ride when it had rained. The first dirt road section heading away from St. Malo was passable with wider tires but saw the MTB’s struggling and walking on occasion. When we reached the highway crossing we compared notes and decided to split up. The MTB’s detoured to the suspension bridge so they could hike in and check things out. The rest of us continued on through the trail sections where conditions were near perfect to begin with. The trail has been well used by sleds and we made fast progress until arriving at the fenced off section that had not seen any sled traffic in some time. We were walking through there in mixed snow depths until arriving on gravel at the other end. After passing through Senkiw, the gated trail is walking-only down to the bridge with soft and deep snow conditions due to shelter from the trees and minimal deer traffic. Once past the field, things improve closer to the bridge. Turning back and by the time we met up for coffee/lunch, icicles and snow were melting as the day heated up. Since then, we have been out along the Southern end of the route and had a look at some of the fields. Mud has started to poke through the snow in places and with warmer weather on its way later in the week we might be riding/running the edges of the trail to avoid getting bogged down in our “Manitoba-Mud” on any dirt sections (the mud won’t let go without a fight, we advise you avoid it if possible!). Dallas, Charles and KC pondering the ride ahead. 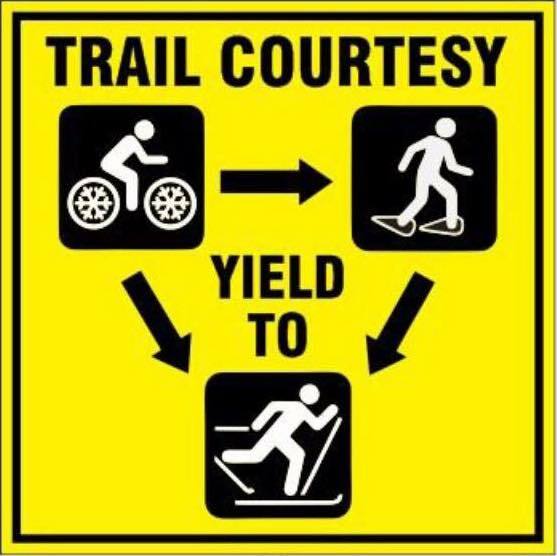 Purpose: To scout the trail conditions and put up some course marking from St. Malo to the Senkiw suspension bridge along the Crow Wing Trail (note: this is part of the longer courses, 160km and 200km). 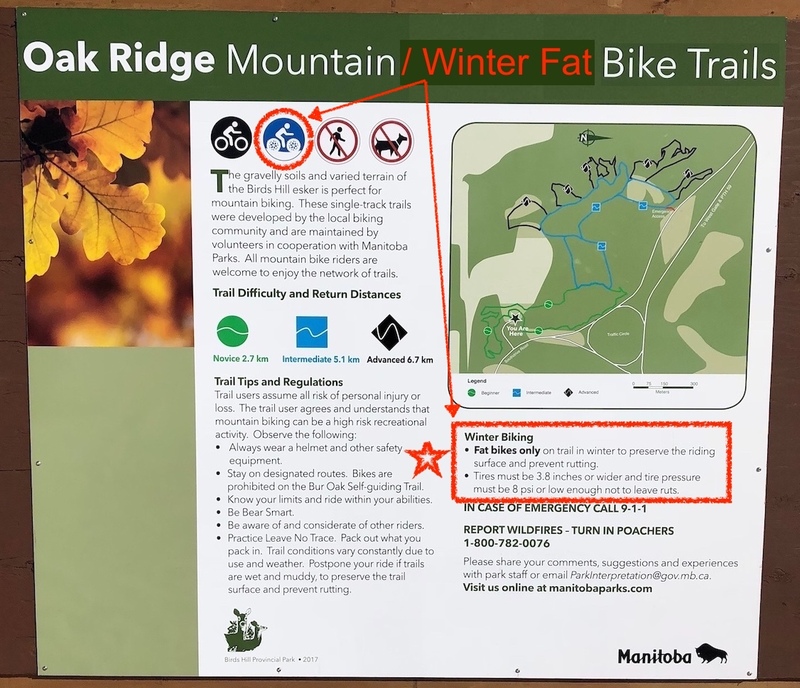 Who: The trail crew will be riding at a slow rolling pace (on fat bikes) and would love it if you brought ANY type of bike and joined them (bring friends on bikes too!). The Plan: To put up course marking materials, take a few pictures of trail conditions and enjoy a fun, sociable ride from St. Malo to the suspension bridge (and just beyond). We will return along the same route and the distance estimate is about 37km to the bridge and back, adding in a short bit of planned extra distance south of the bridge might push that up to 40km round-trip at most. We will roll out at 9am from St. Malo and as always, if you happen to be late, you can follow our tracks and the Crow Wing Trail signs (white arrow on blue background) to catch up with us as we will be stopping periodically to take pictures and put up course marking. 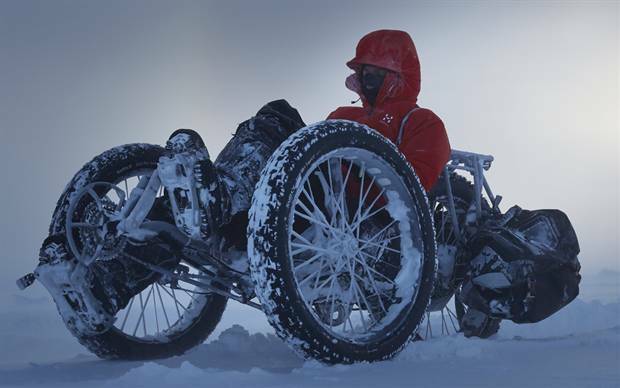 We estimate the total riding time to be approximately 3.5-4h. Also, there will likely be a post ride discussion over coffee/food at a local establishment should you feel so inclined and have the time to join us. Purpose: To scout the Actif Epica course between Emerson, heading North along the Crow Wing Trail to Ridgeville and back. 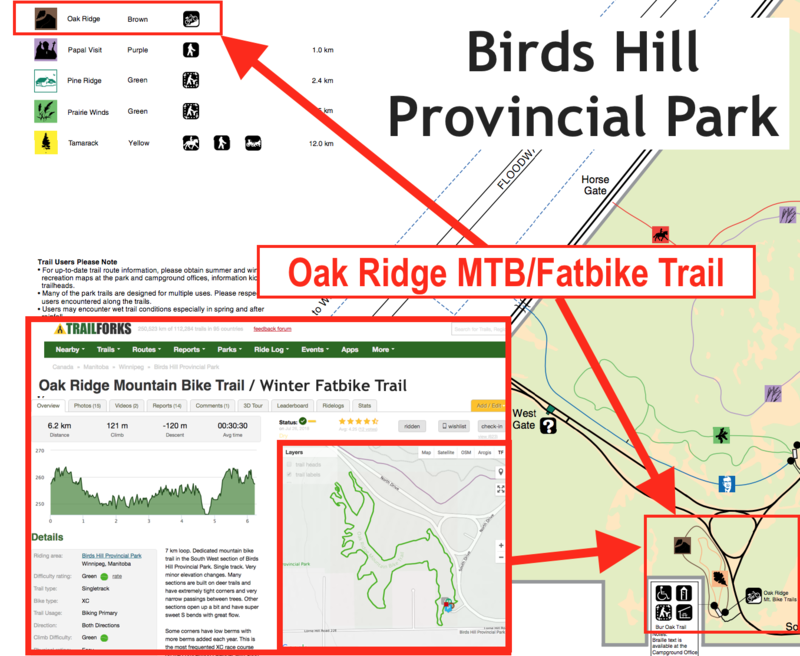 Who: The Trail Crew (Pete, Dallas and Dan) invite you to join them at a slow rolling pace (perhaps including some walking again depending on trail conditions and recent snowfall) and they would love it if you brought ANY type of bike and joined them (bring friends on bikes too!). The Plan: To follow the Crow Wing Trail leaving Emerson before it doubles back and then ride along the border on our way to the town of Ridgeville. The approximate distance is about 36km one way and we will be taking a shortcut on our return route to keep the ride time more reasonable. The plan is to set off at 9am from the Emerson Complex and we estimate the usual ride time of about 3.5-4 hours. In case you are late arriving to the start, you can look for our tracks and the Crow Wing Trail signs will guide you (white arrow on blue background) to catch up with us as we will be stopping periodically to take pictures. Also, it is quite likely that there will be a post-ride discussion over food/coffee should you have the time and inclination to join us for that.